Skincare has become very complicated these days due to the increase in the number of skin cancer diseases. The skin cancer is the most common type of cancer today. This means a great deal to dermatologists due to an increasing number of patients in this field. That is why dermatology physicians need to be updated with the latest technological advancements in skin care treatments. Billings and Human resources etc. 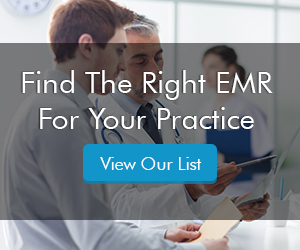 Due to the variety of software in the Electronic Medical Records (EMR) systems market, it becomes really confusing and difficult to choose a software that meets the requirements of your practice. The work of dermatologists and cosmetic surgeons overlaps in many ways but it is also very different in many ways. So both need to be very careful while choosing their specialty-specific top EMR software. There are more than 50 Electronic Health Records (EHR) software system vendors who offer dermatology specialty in their software and there are many who focus exclusively on dermatology and have designed a dermatology-specific EMR. The top Dermatology EMR software must have pre-defined templates that make note-taking very simple and easy. The software should include templates for skin cancer, acne, immune-mediated skin diseases, cosmetic treatments etc. The software must feature a custom prescription list. The software should be able to give recommendations to the physicians while they are giving prescriptions. The top quality Dermatology EHR should have patient education module. It is to ensure patient satisfaction during their treatment. The Dermatology Practice Management (PM) software should also offer graphical charting because graphical documentation of the treatment is very critical and helpful.